We have had a blast working through the Ocean Guide by The Peaceful Press this week. It really jump started our imaginations and lead to all sorts of fun ocean-themed crafts and activities. Sensory bins are always a huge hit with our kids but this time we really took it to the next level by adding in a fun search and find element with a set of adorable sea star printables. 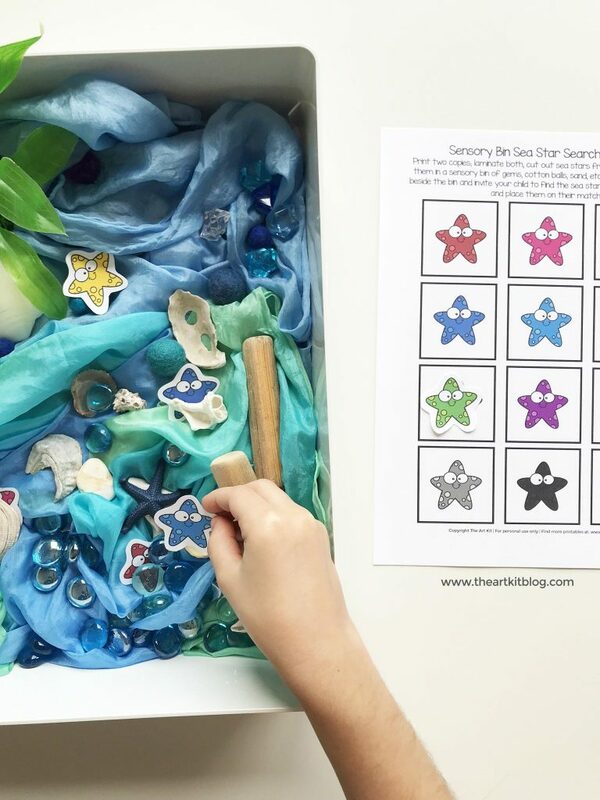 If you’re rounding up fun crafts and activities to do with the kids for your next ocean themed unit study or morning basket, you will definitely want to add this fun sea star search + find game to your list! 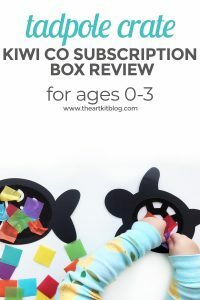 Print out two copies of the sheet, laminate them (optional), and cut out the sea stars from one card. 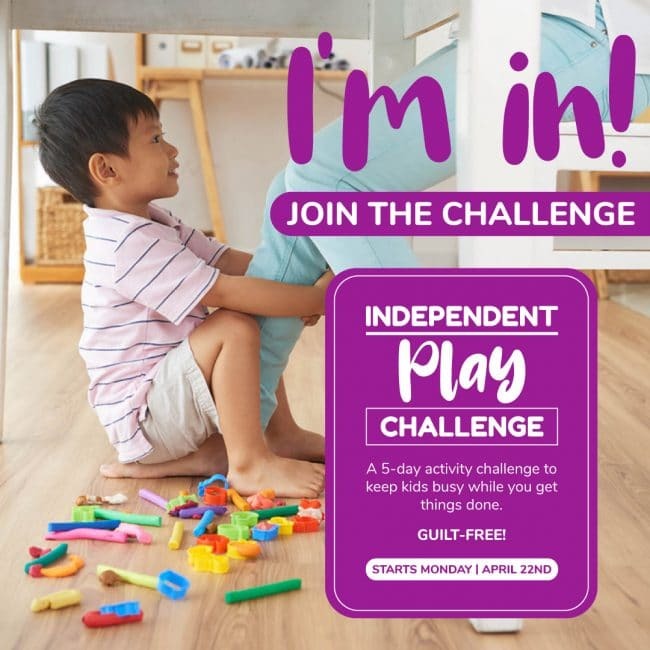 We didn’t laminate them this time – we simply used cardstock and they seem to be holding up just fine but for added durability, laminating them would be a great idea. 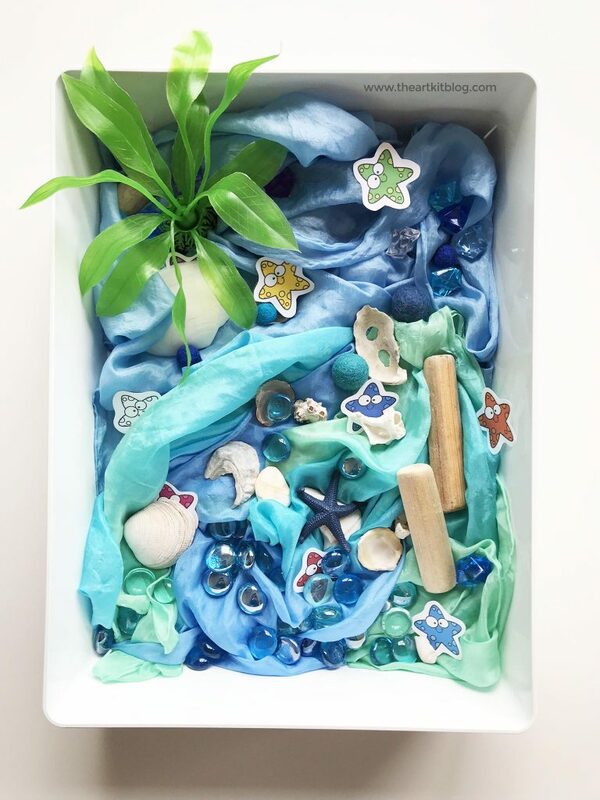 Fill a basket or bin with your ocean-themed goodies. 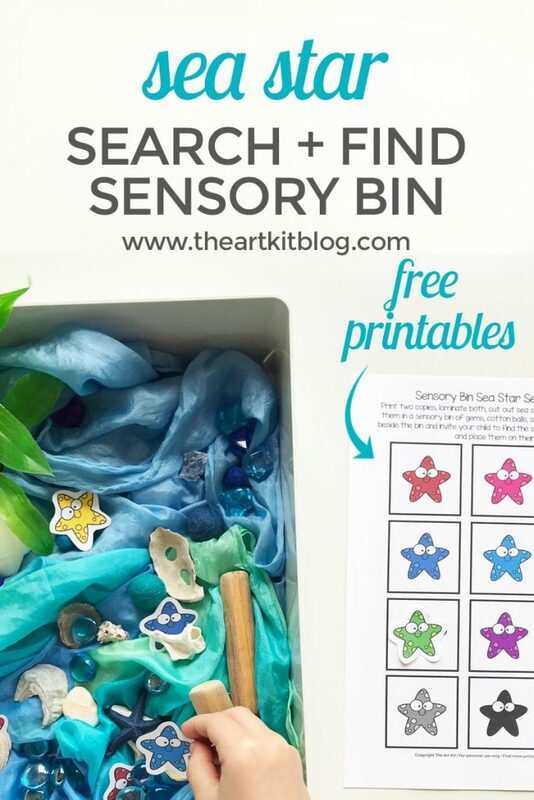 Hide the sea star cards in your sensory bin. Invite your child to find the sea stars, placing them on their match on the sheet beside them. Swap! Have your child hide the sea stars so that you can find them. Have fun hiding and finding sea stars while practicing numbers and colors. To round the corners as we did, we recommend this corner punch. It was such a great investment and is used all the time! It works great on everything from printer paper and cardstock to laminated paper. It really takes the printables to the next level! Also, it’s nice not to have to worry about getting poked with those sharp corners. 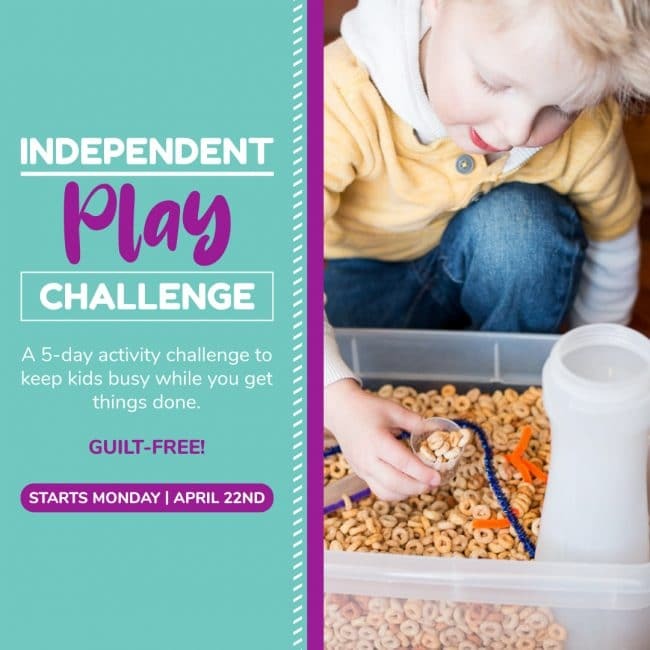 The kids have been having such a blast with this sensory bin search and find game that we’ve been busy making all sorts of them lately. Be sure to sign up for our newsletter list so you are the first to know when new themes are released.